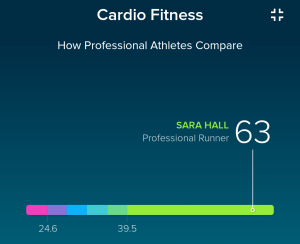 Home Health & Fitness Is Your Fitbit Cardio Fitness Score a Good Indicator of Overall Health? 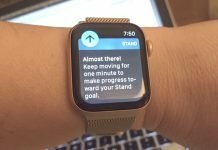 I remember a few months ago that my daughter had sent me a text message with a screenshot of her cardio fitness score on Fitbit. It was awful and she was concerned about it. Here she was only 19 years old wondering if she had the heart health of a 90 year old. My score, on the other hand was great. 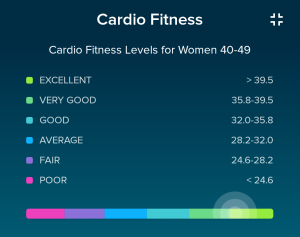 My cardio fitness score was in the very good to excellent range, well for my age anyway which makes me wonder if I’m getting graded on a curve now? Hey, in a few more years if my heart is still beating at all I’ll be happy. 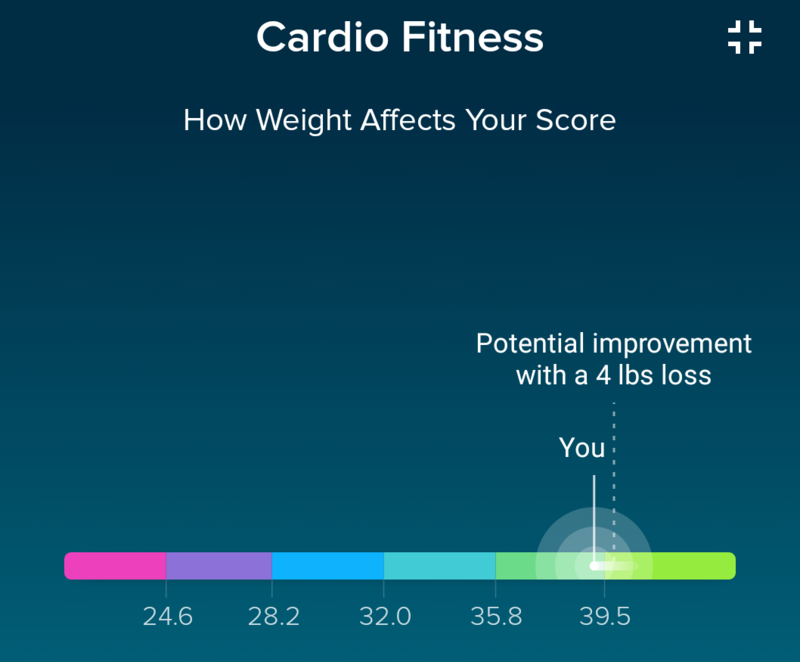 How does Fitbit Determine Your Cardio Fitness Score? 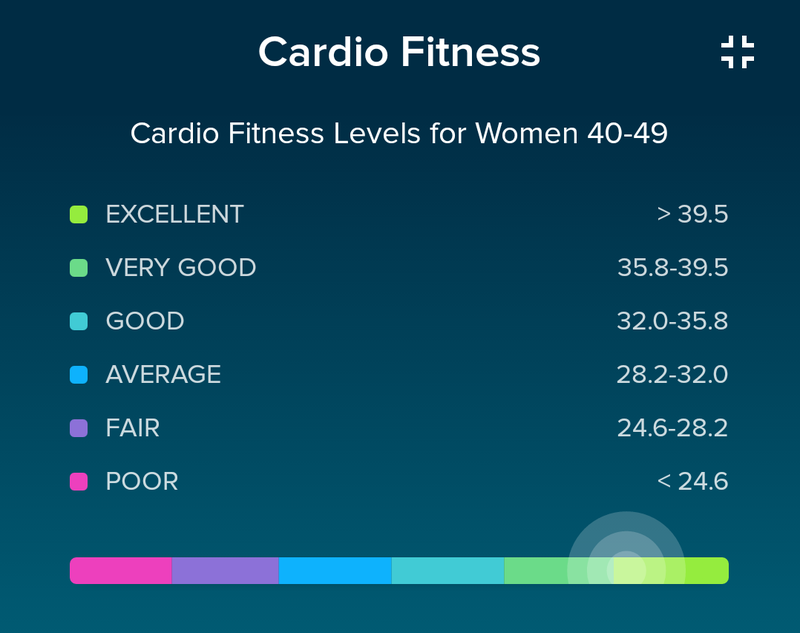 According to Fitbit your cardio fitness score is based primarily upon your resting heart rate. The lower your resting heart rate the better your score. My resting heart rate is usually in the mid to upper 50s so I have a good score. My daughter’s resting heart rate was near 80 and that was apparently the cause of her poor score. After she went back to working out regularly her RHR decreased dramatically and now has a much better cardio fitness score. Fitbit also estimates your VO2 max which essentially is an estimate of how well your body uses oxygen during intense workouts. 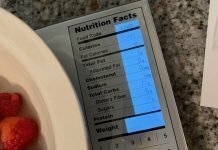 Your weight also affects your score. My current score with my current weight. My score if I could wave a magic wand and weigh my ideal weight. Unless you have a medical condition contributing to a higher resting heart rate, you can lower it by regular exercise, losing weight, cutting out caffeine and other stimulants, and reducing stress. 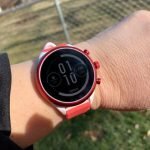 You’ll probably be surprised how quickly your resting heart rate improves, even if you’re currently terribly out of shape, overweight and stressed once you begin regular fitness activities. These activities don’t have to be extreme. Just walking everyday beyond your normal daily steps will help. Regular exercise also helps your body and mind deal with stress better so even if you can’t avoid particularly stressful situation(s), exercise can do wonders to combat the effects of stress on the body. 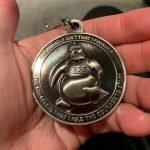 A study I recently read indicates that those suffering from PTSD benefit significantly from exercise, even after just two weeks of adding exercise into their daily habits. I don’t know who Sara Hall is but she’s a showoff! 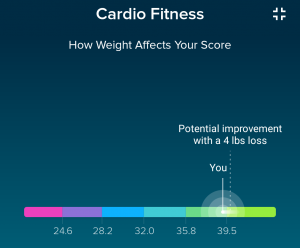 Is Fitbit’s Cardio Fitness Score an Accurate Indicator of Overall Health? To answer this we have to know whether resting heart rate is a good indicator of overall health and apparently it is. 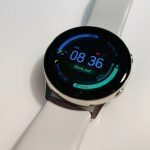 According to an article by Matthew Solan, published on Harvard Medical School’s health blog, your resting heart rate usually paints a clear picture of your overall health, and not just heart health. For example, I’ve noticed that my resting heart rate goes up a day or two before I come down with a cold or flu. It’s higher when I have a fever or infection. It also goes up when I’m more stressed or not getting enough sleep. Resting heart rate appears to be a very good indicator of overall health, not the only indicator but one worth keeping an eye on. For women, you’ll probably notice your RHR changes throughout the month if you are still having periods. So if you see your RHR go up a couple beats per minute for a few days during your cycle, it’s normal- though I’m not sure if Fitbit includes this into their algorithm. 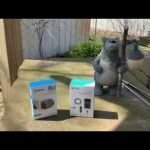 It appears to me from my experience using the Fitbit Blaze that Fitbit primarily uses my resting heart rate to determine my current cardio fitness score. 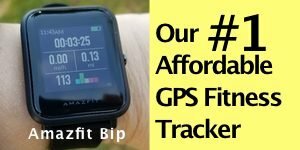 Fitbit doesn’t have tons of current workout data on me since my primary workout fitness tracker has been the Garmin Fenix 5s for the past few months. 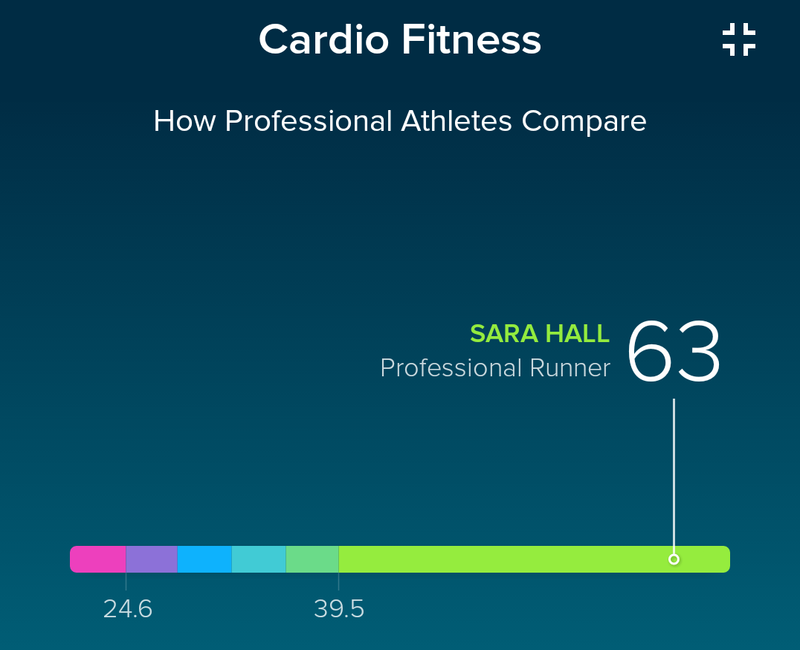 The Fenix calculates cardio fitness scores differently than Fitbit. For example, VO2 max is calculated only after completing two 10-minutes outdoor running exercises. I haven’t yet done that but I will be soon, assuming I live through those workouts. 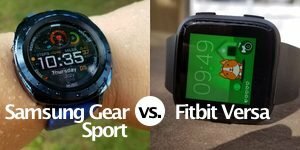 It’ll be interesting to compare those results against Fitbit. 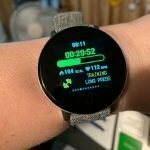 I’ll be testing out the new Fitbit Versa when it’s available next month, so Fitbit will have tons more workout data on me than it currently has. It’ll be interesting to see if my cardio fitness score changes and how it will compare to the score the Fenix assigns me. Stay tuned for those results but to answer the original question, yes your resting heart rate is a very good indicator of your overall health, not just your cardio fitness score. It’s useful information for you to know. Previous articleObese People May Have Fewer Taste Buds But What Does That Mean?